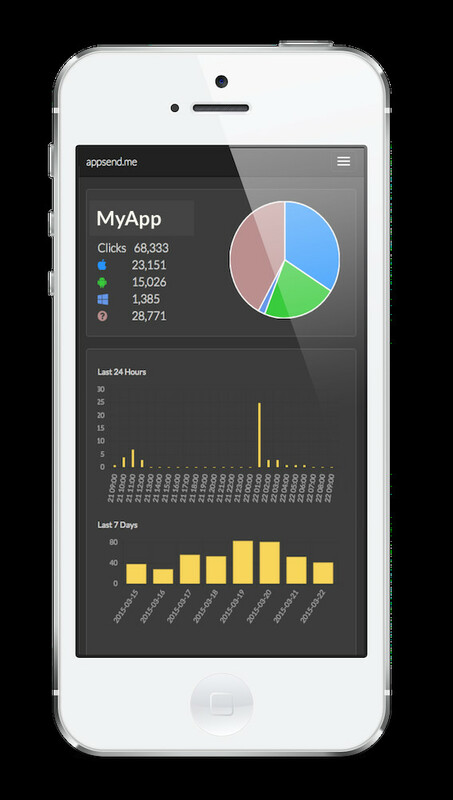 Appsend allows you to create a single mobile app download link for use in your SMS and other marketing campaigns. Your customers only see a single link, but are sent to the right app store every time nomatter what phone they are using. And because it's also a short link, you'll get more space for your real marketing message. When a customer clicks the link, our technology detects which phone they are using, and then takes them to the correct Android, Windows and iPhone store, capturing analytics along the way. Appsend.me has been used successfully in campaigns from 10,000 to 200,000 messages. We've helped customers execute simpler, more effective SMS and social media campaigns.